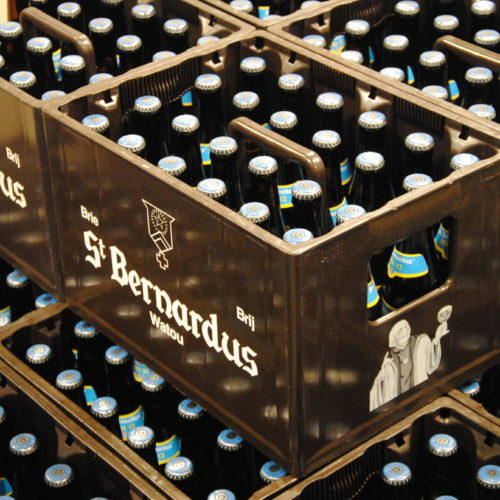 The Brouwerij St. Bernardus in Watou, Belgium is not operated by Trappist monks. While brewed in the monastic tradition, this commercial brewery is known for producing Abbey ales, or those similar to Trappist ales. Although a commercial brewery, the recipes and brewery both have historical ties to two monasteries that operated in the area. The Trappist Single, or Patersbier, was brewed by the monks for their daily consumption. The low alcohol content did not impede the prayers and work of Monastic life. For most Abbeys, singles are rarely seen outside of the monastery walls and are usually not sold to the public. St. Bernardus Extra 4 is a 4.8% easy drinking ale showcases the fruity-spicy flavors of Trappist ales with a soft, grainy malt character.